We are located at 9520 Berger Rd, Ste. 310, Columbia, MD 21046. Our telephone number is 410-884-0317 and our fax, 410-730-3337. Our general email address is info@jkassociatestax.com. Our office hours are generally 10 a.m. until 4 p.m. on weekdays except on Wednesdays when we are often closed. However, we will always try to accommodate your schedule. And, of course, during tax season we are almost always open it seems! JK Associates, LLC, is a relatively new company yet it has deep roots. 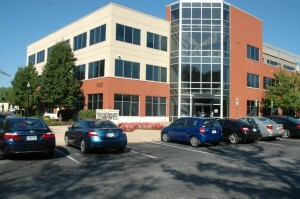 In the early 1990s, Jon W. Ford, CPA, began his practice in Ellicott City. From the very beginning he shared an office with a financial advisor, James Klima. Both realized the benefit of having the other in-house to answer client questions about taxes and investments. Sadly, Jon passed away in 2010, and Karen Brelsford, a financial advisor in Jim Klima’s office and an Enrolled Agent, kept Jon’s practice going so that his clients would be served. Three of Jon’s key employees — Kathleen Hahn, CPA, office manager Cheryl Shea, and tax preparer/staff accountant Lori Eidsness — are still with us. In the fall of 2017, JK Associates, LLC, merged with Dorsey Accounting Services, Inc, a well-established company in Ellicott City. Keith Dorsey, CPA, MST, MBA, the owner of Dorsey Accounting, brings a wealth of expertise to help JK Associates continue to grow and serve our clients. Jon Ford was passionate about serving his clients and JK Associates, LLC, strives to serve our clients in a way that would please him. Our staff of 10 is led by Kathleen Hahn, CPA, Keith Dorsey, CPA, MST, MBA, and Nancy Jo Lame, Ph.D, EA. 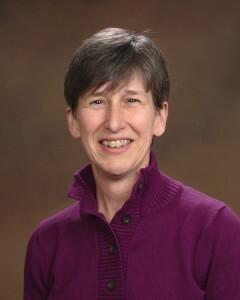 Kathy Hahn began working with the late Jon Ford, CPA, in 1997. (JK Associates LLC is a successor to Jon Ford, CPA.) Kathy normally works in the office only on Fridays but during tax season she’s here about every day. Her other job is director of finance at a local non-profit. 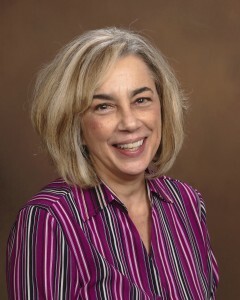 Kathy, who specializes in small business returns and estate and trust returns, earned her accounting degree from the University of Maryland and began her career at Stoy Malone in Bethesda. She spent a decade at T. Rowe Price as an account manager for the retirement planning division. Kathy is our QuickBooks expert. Keith Dorsey is the newest member of the growing staff following the merger of JK Associates and Dorsey Accounting Services, Inc., in the fall of 2017. He has worked in public accounting, mainly concentrating on tax services, for more than 25 years. He has very loyal and happy clients who voted him the top accountant many times in the Best of Howard County contest sponsored by Howard Magazine. We know he’s going to play a major role in JK’s growth in accounting services. Keith worked in downtown Baltimore for a medium-size accounting firm for some years and then purchased his father’s thriving practice in Ellicott City in 2001. His knowledge, expertise and quality tax and accounting services at excellent rates has helped him build a large following. Keith is a 1991 University of Maryland graduate, and also has earned a Masters in Taxation from the University of Baltimore and a Masters of Business Administration from Loyola University. He’s proud to say that he passed his CPA exam on the first try! Keith enjoys discussing planning and saving opportunities to help his clients. Outside of tax season Keith has several hobbies including golf, sailing and guitar. He claims to be a bit shy in front of an audience so don’t ask him to play songs. But if you’d like to enjoy a round of golf, he’s always ready. He recently sold his share of a sailboat so if you need a crewman, he’d be happy to go out on your boat instead. Nancy Jo Lame joined us just in time for the 2013 tax season. She brings a lot of tax experience to JK Associates. She earned her Enrolled Agent license in 2011 and has been in the tax business since 2006. Nancy Jo recently passed her fourth and final CPA exam and will soon be able to add more letters after her name! In addition to preparing taxes, she will help you deal with IRS letters you might get. If you are audited, Nancy Jo will represent you before the IRS. When you’ve tired of talking taxes with Nancy Jo, ask her about the stars. She has a Ph. D. in astronomy from The Ohio State University. Nancy Jo is also involved in international folk dancing and is out of the office on Wednesdays so she can prepare new dances for her local folk dancing club. And just what is an Enrolled Agent? How does it differ from a CPA? A CPA — Certified Public Accountant — can wear many hats. A CPA can just do accounting, or perhaps specialize in taxes. Many CPAs do both, as Kathy and Keith do. Attorneys and CPAs are licensed on a state-by-state basis, and are also empowered by the Department of the Treasury to represent taxpayers before the IRS. An Enrolled Agent is a tax specialist and a federally authorized tax practitioner empowered by the U.S. Department of the Treasury to represent taxpayers before the IRS. The EA credential is recognized across all 50 states. Both CPAs and Enrolled Agents must complete many hours of continuing education to keep current with changing tax laws. CPAs must complete 80 hours every two years. The IRS requires Enrolled Agents to earn 72 hours — all in taxation — over three years but our Enrolled Agents belong to the National Association of Enrolled Agents which requires 30 hours of education each year. Our staff is well-schooled! 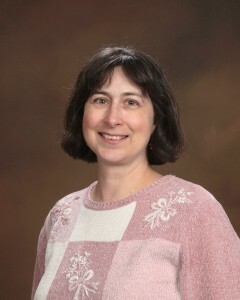 Lori Eidsness, who joined Jon Ford in 2007, is our resident bookkeeper/staff accountant. She’s developing a niche for us helping our seniors, including those in assisted living or nursing homes, with monthly bill paying and reconciling bank accounts. She has a knack for ferreting out duplicate or inaccurate charges to save our clients money. Lori, who also wears a tax-preparer’s hat, has a degree in finance from the University of Maryland and is a fanatic about UM’s women’s basketball team. She also is in a bell choir. We don’t have a picture of her because she’s camera shy, but we will be glad to introduce her to you when you come in. 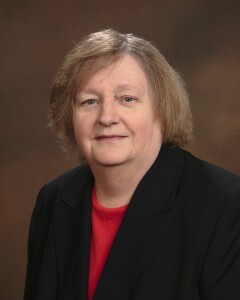 Linda Uzzle has been a financial analyst for more than 30 years. She spends her days as an auditor for the federal government. Evenings and weekends, she’s a tax preparer, specializing in small business returns, and she also does accounting for us. When a tricky tax problem needs to be researched, Linda always is up for the task. Linda, who joined us in 2010, has a degree in accounting from Purdue University — she’s a Hoosier by birth — and a Masters in Healthcare Administration from Florida Institute of Technology. 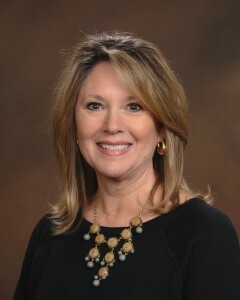 Denita Patterson joined JK Associates, LLC, in 2011. She’s a government contract specialist in her day job. She puts in long hours during tax season but usually deserts us in early April: She plays in a huge women’s soccer tournament in Las Vegas every year. But in 2013, she also traveled to Europe to play in a soccer tournament there. 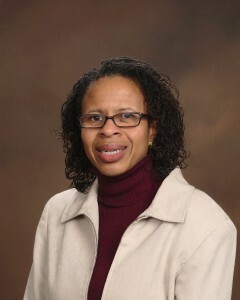 Denita, who grew up in Ohio, has a degree in construction management from the University of Cincinnati. season. She hates doing taxes but she loves numbers. Most returns go through her hands so she can make sure the numbers add up. She’s amazing at crunching numbers and is our quality-control person. Dorothy, a fitness buff, has an undergraduate degree in business administration from LaSalle University and an MBA in Health Administration from St. Joseph’s University. 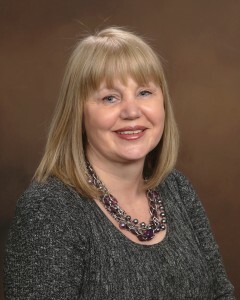 Karen Brelsford is an owner of JK Associates, LLC as well as a financial advisor at an independent firm. She’s an Accredited Investment Fiduciary, a Certified Financial Planner practitioner, an Enrolled Agent, a Certified Divorce Financial Analyst and a Chartered Retirement Plan Specialist. Karen focuses on individual returns and can help small business owners set up retirement plans, including SEPs and 401(k) plans. Karen dotes on four grandchildren, dabbles in woodturning and has tried unsuccessfully to learn to play a banjo. Michael Do joined us for the 2016 tax season and we have never had time to get his picture! He is a global tax accountant at a large, publicly traded company in the area. Michael immigrated from Vietnam when he was in eighth grade and returned home in the summer of 2016 for an extended visit. Michael has an accounting degree from Towson University and is pursuing his CPA license. He also has a toddler and always has lots of photos to show. Benjamin Spurrier joined us in 2017. He graduated from the University of Maryland with a degree in finance. (No, he is not related to now-retired South Carolina football coach Steve Spurrier. We asked.) Since graduation, he’s been seeing the world — ask him about his bike tour of Chile — but he’s now decided he needs to think about a career. After spending the 2017 season here, he accepted an accounting job with a large Baltimore insurance company and has started the additional coursework he needs to get his CPA license. He’ll be part of our evening and weekend crew. Reach our staff by calling 410-884-0317 or emailing info@jkassociatestax.com.